At present, students are very much concerned as well as aware of their education and career. They want to pursue the best course from the top school or college. GRE and GMAT are considered as the pathway for studying abroad in the leading universities, which are conducted by two different bodies. Qualifying Graduate Record Examination (GRE) makes you eligible for taking admission in the graduate schools. On the other hand, the Graduate Management Admission Test (GMAT) is the entry door for applying in best business schools. Students stay confused between these two entrance examinations, regarding which one is best for them, as far as their career is concerned. 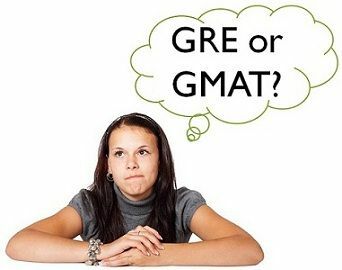 Just have a glance at this article to know about the differences between GRE and GMAT. Meaning The GRE is a test taken by students, who want to apply for admission in top graduate schools. The GMAT is test taken by students to apply for management study in business schools. Governing body Education Testing Service. Graduate Management Admission Council. Objective Admissions to postgraduate and doctoral degree programs in different universities. Admissions in management programs of business schools at graduate level. GRE or Graduate Record Examination is a systematic computer based or paper based test organized and administered by Education Testing Service (ETS). The test is made compulsory for students by a maximum number of graduate schools in the United States for taking admission in masters and doctoral study programs. The examination was first started in the year 1949. In August 2011, GRE Revised General Test was introduced. The test evaluates the knowledge and skills of the candidate in analytical writing, verbal reasoning, quantitative aptitude and critical thinking. It is a general admission test which is not related to any particular discipline. The exam conducting body offers free preparation material to the students. Graduate Management Admission Test (GMAT) is a systematic computer-based test developed and administered by the Graduate Management Admission Council (GMAC). The test is a requirement for taking admission in the various management programs, in top B-schools. The examination is divided into multiple sections that measure the ability of students in verbal and quantitative reasoning, analytical writing and integrated reasoning (section introduced recently by GMAC in 2012). Most business schools recommend students to qualify GMAT before applying for admission in management programs. The GRE is a computer or paper based examination given by the students to take admission in various graduate programs in different universities. On the other hand, GMAT is a computer or paper based examination given by the students to take admission in various management programs in business schools. The GRE was started in 1949 whereas GMAT was started in 1953. The GRE was administered by Educational Testing Service. Conversely, the Graduate Management Admission Council administers the GMAT. GRE is not confined to a specific discipline but, the GMAT is a required test for business studies. The test duration for GRE in paper based examination is 3.5 hours while in the computer-based examination is 3.75 hours. Unlike GMAT, where the duration is 3.5 hours only. The objective of the GRE is to apply for admissions in postgraduate and doctoral degree courses in different universities. As opposed to GMAT, the purpose is to apply for admission in graduate level management programs of business schools. The examinations check a student’s quantitative reasoning, verbal ability, analytical skills. Moreover, the scores are valid for a period of 5 years. The GMAT is accepted by all business schools, but now GRE is also accepted by the maximum number of B-schools. The examinations are generally computer-based but paper-based exams are held where the computers are not available at the test centers. After the above discussion, it can be said that both the exams are completely different. If you want to apply for non-management master’s degree, then GRE is the best option for you, but if your whole sole ambition is to become a management graduate, then you must go for the GMAT. Apart from the above-given differences, the math questions asked in GRE are a little bit easier than the math of the GMAT. In the same manner, in the verbal section, the emphasis is given to the vocabulary in GRE and grammar in GMAT. So before you prepare for any of these two examinations, consider these parameters. One more thing is there, which you must know is that the cost of the GMAT is higher than the GRE. Admission to the university is on the basis of cut off marks released by the university. It the student’s score on the examination is more or equal to the cutoff, then only he/she can apply to the desired university. Difference Between M.Phil. and Ph.D.